I hope your Christmas was full of blessings and love! It is my day at the Cheery Lynn Blog . I have a Winter Birthday card to share today. Hope your Christmas was full of blessings! My day at the Gypsy Soul Laser Cuts blog today. Is it too soon to be thinking Valentines? Not for me. I have an easy card to share. I covered the cardstock in one solid piece of pattern paper and layered it with this Deco Lattice Panel 1 painted with red paint. Than I simply wrapped with ribbons and tied a bow and added stamens. After that I added my main image and surrounded it with flowers, more stamens, and these Victorian Corners 1 colored with a glitter marker. Happy Sunday! My day at the Cheery Lynn blog! 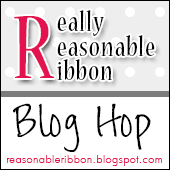 Time for a RRR blog hop today! Please scroll down for my GSLC post. You should have found your way here from Kathy's blog. Here is my card. Simple, but sweet. Hello Happy Tuesday! My day at the Gypsy Soul Laser Cuts Blog. I have a old fashion altered Heart to share. I first took my accent chipboard pieces and spray painted them with pink spray paint. Than took my large layered heart shapes and traced them with my pattern paper and cut them out. I added tinsel to the inset of the hearts. I also added fine white glitter and pink Mica flakes to my chipboard accent pieces. From here I started adding my ribbons, stamens, and smaller chipboard pieces. Hello, my day at the Cheery Lynn blog. I have a simple Love card to share. Hello folks....having to double post today....so please SCROLL DOWN FOR THE CHEERY LYNN BLOG HOP! 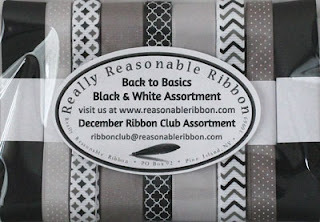 I used lipstick red seam binding down the middle of the card and tied a big bushy bow at the top. Added some bits and bobs and was done. Today is the the day....we have a fun Cheery Lynn Blog Hop for you. You should have found your way here from Lisa's blog. Our blog hop theme is "Flower Power". With that in mind I created a soft feminine Wintery card with pinks to wish someone the Warmest Winter Wishes. I used several flower dies including Mehndi Botanicals 3, Sakura flower, and the cut and emboss snowflake. I added the Shaker tree die as a background and added the classic snowflake border at the bottom.